Growing fruit in containers adds another dimension of edible gardening to your outdoor farming efforts. 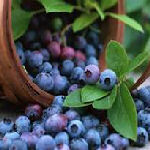 Many varieties of fruit trees for containers are available, and berries are easy to grow in pots or hanging baskets. When growing fruit in containers, select varieties that are best suited to your climate. 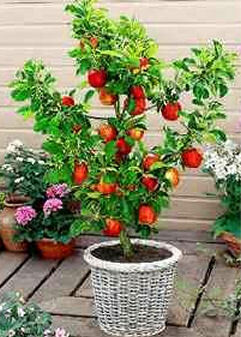 Dwarf fruit trees are ideal for container gardening. Choosing dwarf varieties makes it easier to prune and maintain, and you wont need a ladder when it’s time to harvest. Nearly all standard fruit trees come in dwarf forms that produce full size crops, including apple, apricot, cherry, nectarine, peach, pear and plum. 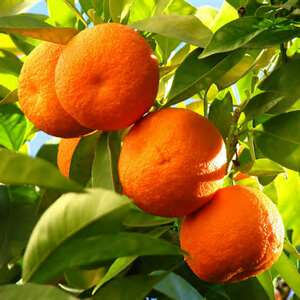 Dwarf citrus trees, including orange, lemon, lime and kumquat are excellent candidates for container growing. In northern climates, they thrive outdoors all summer and then winter nicely in a sunny window. Some species are self-pollinating while others require that you have a second tree. Before buying, check with an expert at your nursery to assist you in selecting the right tree. Bearing fruit may occur the first year but it may take until the second year for the tree to fully establish itself. A simple way to tell whether a tree was properly maintained at the garden center is to check the height of the potting soil. It should reach within an inch of the container’s rim and feel moist to the touch. If you are growing fruit in containers, and are selecting fruit trees in particular, keep in mind what the mature height of the tree will be. Dwarf fruit varieties range in size from 2 to 7 feet tall. Choose a container that is several inches bigger in diameter than the nursery pot to allow for growth. Any container material is fine. If you are gardening on a balcony, or want to be able to move the container, choose light materials like plastic or fiberglass. 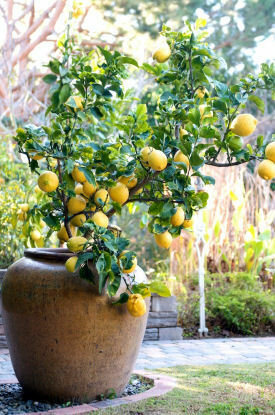 A tree in a container with soil and water can be heavy so only use wood or clay containers if weight is not an issue. Add a layer of gravel or small rocks to the bottom of the container to help with the draining process. Use a good mixture of fertilizer and nutrient rich soil that will drain well and place the tree inside the container, spreading the roots into the soil. Cover the roots with soil, water, and continue adding soil until the container is well packed. Plant bare-root saplings that you have ordered or purchased at a nursery as soon as possible. If you can’t plant immediately, wrap the roots and keep them moist so they don’t dry out. Water well, but not to the point where water stands inside the container. This causes root rot. You may need to secure the tree with a stake until it becomes established. Protect the container from the elements. During the cold winter months, if possible, bring the trees inside to keep the roots from freezing. Water to keep the roots moist. Feed your fruit trees at least once every 6 months or use time-released feeding pellets. Transplant every 1 to 2 years to make sure the root system keeps having room to expand. Prune the top of the tree and its roots every 1-2 years (during the dormant period) to control the size and shape of the plant. Remove any unhealthy or damaged branches. Check for pest or parasites on a regular basis. Apply the proper repellent or insecticide as needed. 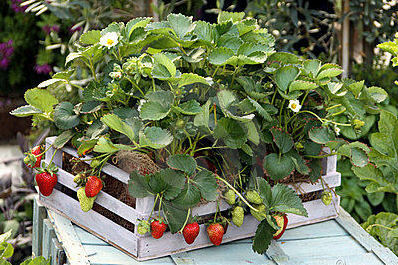 Strawberries – wait for temps to reach 55 to 60 before planting. When growing fruit in containers, most gardeners will choose pots or boxes. 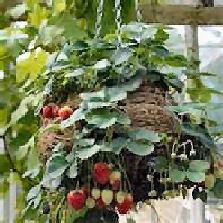 Berries grow fine in those, but vining types do great in hanging baskets – they look nice too and don’t take up floor space.